For his exhibition at Fort Gansevoort, Harvey will present a new body of work inspired by his vocation. 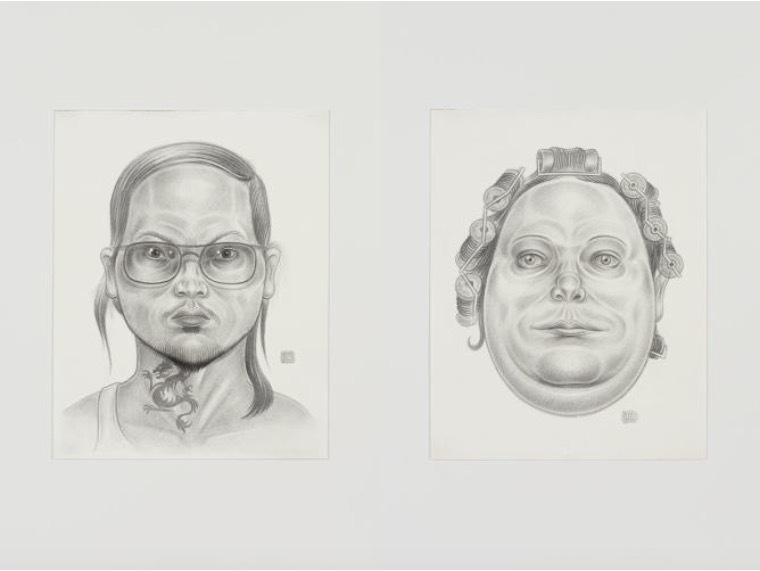 Primarily used to develop suspects’ faces in the hopes of identifying them, the composite drawings on view at Fort Gansevoort are fictional, or what the artist refers to as “fantasy composites”. Harvey spends a great deal of time developing these characters. He organically and intuitively evolves the profile, incorporating both real and imaginary facial features. He begins with a specific feature then quickly builds on it, adding a distinct jawbone or hairstyle. The resulting crosshatch graphite drawings are hyper real, caricature-like representations of humanity. Fort Gansevoort is pleased to present an exhibition of new works by Jason Harvey, on view beginning November 11, 2015. This show is co-organized by Adam Shopkorn and Josh Safdie.